Travel brochure "See the USSR," 1931. Signed "M. Litwak." Published by Intourist. 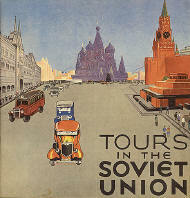 Travel brochure "Tours in the Soviet Union," circa 1932. Published by Intourist. 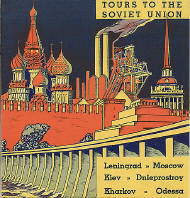 Travel brochure "Tours to the Soviet Union," circa 1932. Published by Intourist. 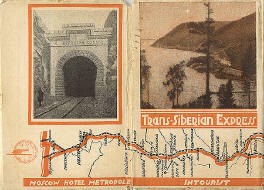 Travel booklet "Trans-Siberian Express," 1930. Published by Intourist. Travel booklet "Seeing the Soviet Union," 1933. Published by Intourist. 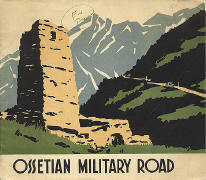 Travel brochure "Ossetian Military Road," circa 1933. Published by Intourist. 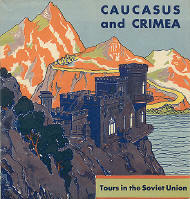 Travel brochure "Caucasus and Crimea," circa 1932. Published by Intourist. 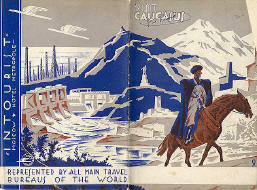 Travel brochure "Visit Caucasus," circa 1931. Published by Intourist.